Riders race their horses into the arena to run a cloverleaf pattern around three barrels and out again. The goal is to have the fastest time without knocking over a barrel. An electric eye connected with an electronic timer and a judge with a stopwatch record the time. The rider is given a running start into the arena and her time begins once she passes the start line. 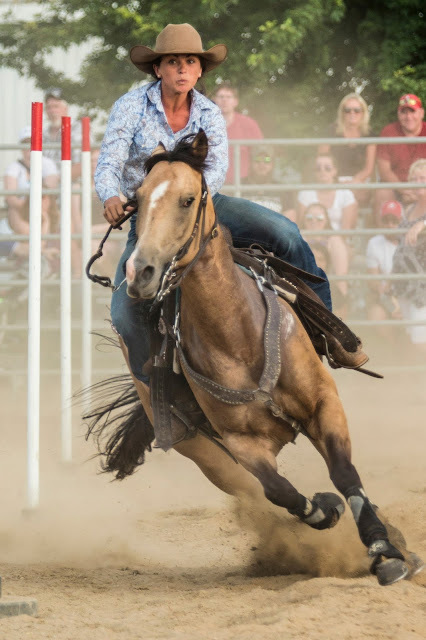 It ends when she crosses it again, after running a long stretch back from the third barrel located at the opposite end of the arena. 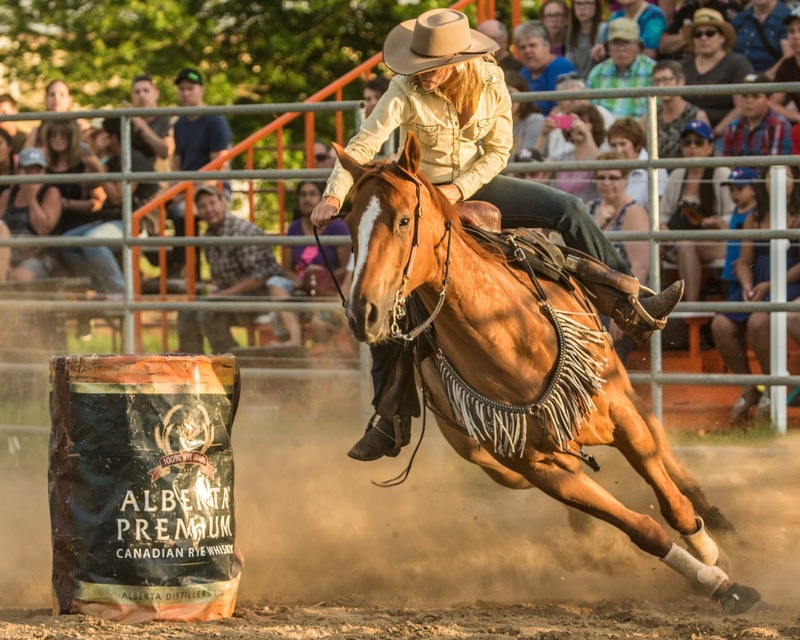 The rider's horse may touch and tip a barrel but knocking one over will add five seconds to her time. 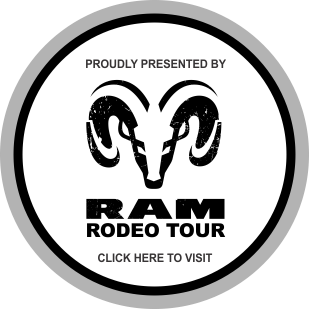 The RAM Rodeo circuit also features Junior Barrel Racing. Junior Barrel Racing highlights the skills of riders under the age of 15. 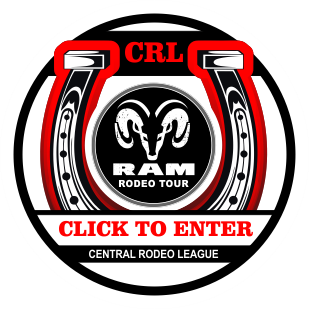 Bull Riding pits a cowboy against a 2000 pound animal whose bucking is as unpredictable as its personality. The cowboy must hang on for eight seconds with one hand. In this case, it's a flat, braided "bull rope" tied around the bull's belly. His riding hand is wrapped into the rope and he cannot touch himself or the bull with his free hand. Strength, flexibility, coordination and a strong mental attitude are just part of the skills a cowboy needs to successfully ride a bucking, spinning bull. The Bull Rider receives points as the animal bucks but he is also judged on his ability to stay on the bull. 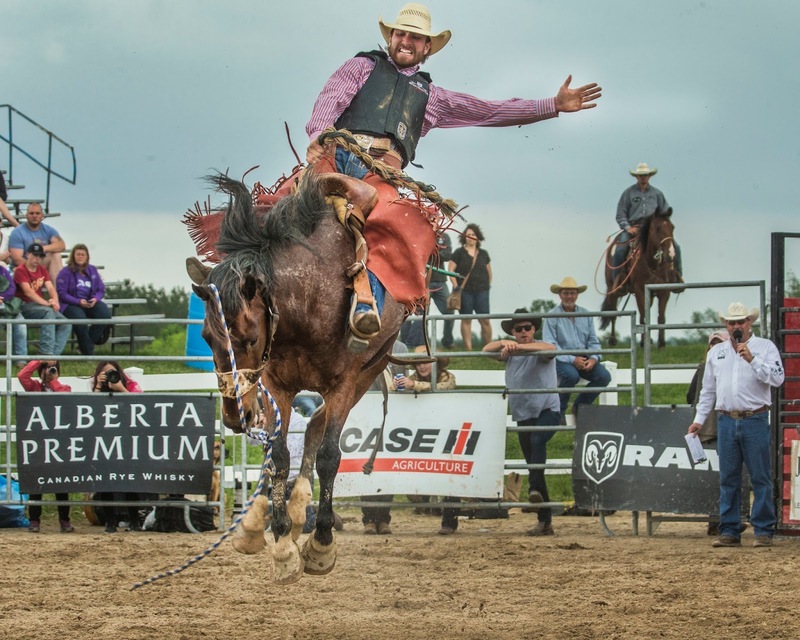 Unlike Bronc Riding, the uglier the action of the bull, the more points a rider will score for being able to stay on. Each bull is different with its own personality and traits for bucking hard, spinning and changing directions. A cowboy who hangs on in a spin or who can hang on while turning the bull left and right can gain a higher score. 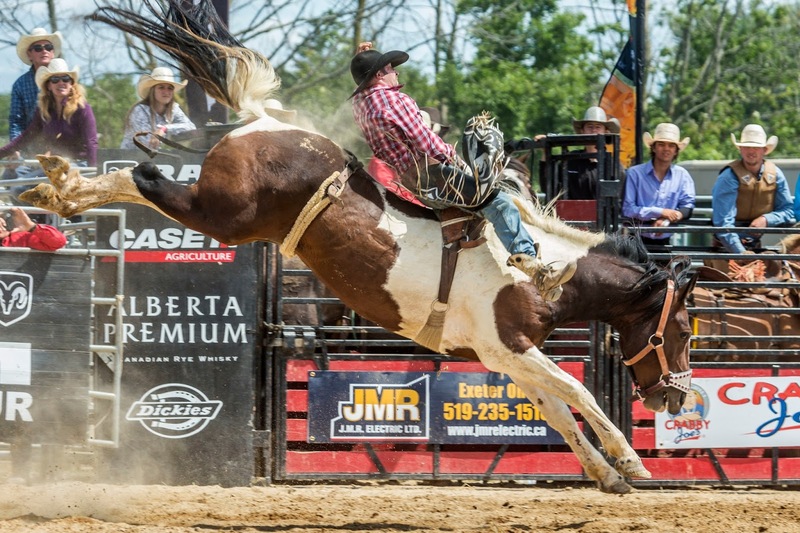 It is in this sport where a cowboy is most likely to receive serious injuries. When the ride is over the danger remains as often, the bull comes back after the cowboy. Junior Bull Riding is almost identical to Bull Riding except for the age of the competitor and the animal is a steer instead of a bull. 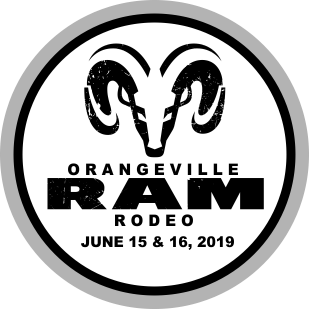 The young cowboy is between the ages of eight and 15 and the same skills are needed to successfully earn a high score in the event. There are a few subtle differences with a Junior Bull Rider requiring a helmet for protection. 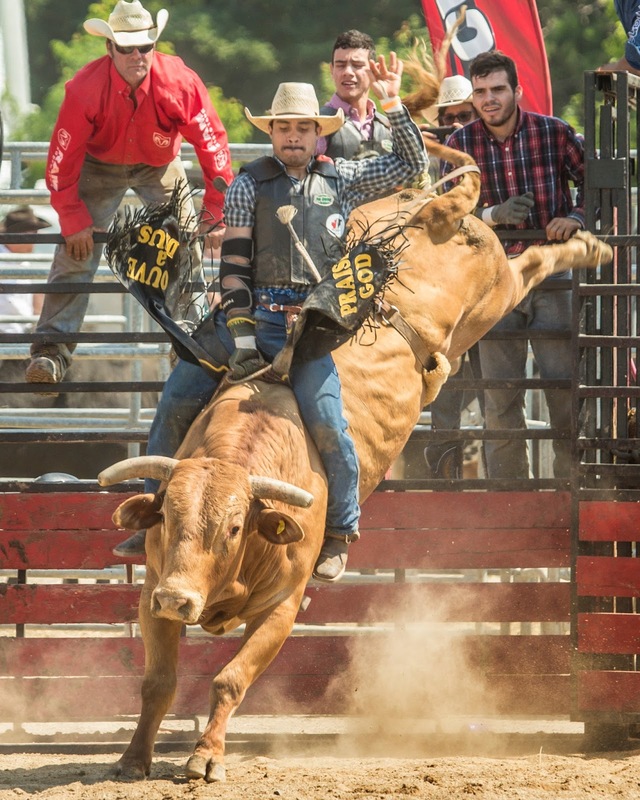 Most riders will go on to be Bull Riders when they reach the minimum age of 16.